May 18th（入会した日付）, I joined www.cl-studio.com. 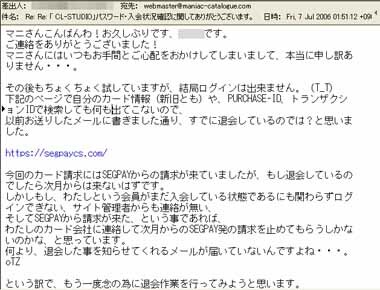 But I did not get the E-mail of SegPay Cancellation Receipt. I am anxious whether the charge continues. Could you check my cancellation from www.cl-studio.com?